This post is coming at you from my beloved Michigan! We're probably somewhere near the Mackinac Bridge right now on our way back to Ann Arbor, but this is scheduled to auto-post. I am zero percent looking forward to having driven all day today and then traveling back to Reno all day tomorrow, but that's how it worked out scheduling-wise, so that's how we're doing it. Now that I've whined about my entirely self-inflicted wounds, let's look back at the last month, eh? The Good German: I know that I saw the George Clooney movie they made out of this book when I was in college but I didn't remember it at all. It's a shame it wasn't better, because this story about Berlin immediately after WWII and the questions of guilt and blame for the atrocities committed by the Nazis was both thoughtful and twisty and quite good. My Antonia: I do really like it when the book club selections match up with things I'm already planning to read. This Willa Cather pioneer classic didn't have much of a traditional story structure, but her writing, especially about the lonesome loveliness of the prairie, is beautiful. 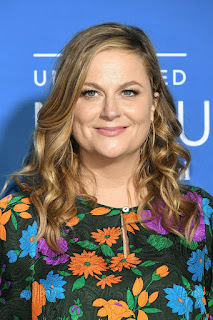 Too Fat, Too Slutty, Too Loud: I love Anne Helen Peterson's writing about celebrity culture at Buzzfeed, so I was stoked to be approved for an ARC of her book about female celebrities that transgress social boundaries. I think I would have liked to see fewer focuses to allow for more in-depth discussions (a lot of times it felt like it was skimming the surface of something much deeper) but it's still an incisive look at the ways women are constrained in how much we're allowed to be. The Amazing Adventures of Kavalier and Clay: I'm sure you, like me, have heard the massive hype around this Pulitzer Prize winner. It's all true. It's incredible. Beautiful and funny and heartbreaking and hopeful and sad and holy smokes it's so good. Crazy Rich Asians: I've generally found that a way to avoid book hangover after reading something stellar is to make a major tonal shift for my next read. And so I went from a Great American Novel to a frothy send-up of the rich and fabulous of Singapore. It was ultimately a little too frothy, with not enough substance, and employed one of my least favorite tropes: drama that could have been avoided if people talked to each other. Valley of the Moon: A good reminder of why I need to let go of my genre snobbery, this time-travel romance was well-written and enjoyable. Me Talk Pretty One Day: This was my first Sedaris essay collection and I found them to run the gamut from generally amusing to actually laughing out loud while reading (which I don't do very often). I'll read more of his stuff for sure. Station Eleven: The post-apocalypse subgenre has been a popular one lately, making it hard to find a unique take. But Emily St. John Mandel's novel is haunting and elegant and a real pleasure to read. We went to see Ali Wong! If you haven't seen her Baby Cobra standup special, filmed when she was very pregnant, it's a must. I nearly wept with laughter. She was very, very funny live and we had a great time. We went to Michigan: Technically, like I mentioned above, we're still there. My dad is from a small town in the western half of the Upper Peninsula, and there's a family reunion at grandpa's every summer. I've obviously been a bunch of times over my life and most recently went two years ago, but this was Drew's first time there. We spent a few days downstate with family and friends and then headed to the UP and we're driving back today and then on an airplane tomorrow! We had a great time in both peninsulas, I very much miss Michigan so I'm always stoked to go back, especially when we had fantastic weather. I've made a couple stabs at organizing my library with cataloging software, but I stopped using them and then things got really out of date really quickly. So I just did another round using libib.com, a service that I really like and want to/hope I keep using. Instead of getting ambitious and curating a list of my "want to read" books or including my Kindle titles, I'm keeping it simple-ish and restricting it to my physical library ONLY. The link to my personal library is here if you're curious about what I own in print. "That's not to say the history isn't there. Whites have killed blacks before. Or killed because of blacks. The stories have passed on from generation to generation, over supper or over a beer, on stoops or in parlors, told by grandmothers and by pastors, the narratives shaped and reshaped by people's prejudices and blurred memories and by their own experiences. And while they may not be recorded in history books, they exist just as powerfully and vividly in these oral tales." Maybe it's just my own privilege, or growing up in a small, fairly homogeneous town, or cluelessness, or other/more things, but I feel like the shooting of Michael Brown really kicked off a national movement of racial issues back into the mainstream. As much as we, as a country, tried to clap ourselves on the back for electing our first black president and pretend really hard that we're living in a post-racial world, it didn't work. Racial divides, state-sanctioned violence against people of color, and institutionalized prejudice still exist. As a white person, it's been an exercise in learning the limitations of my own experiences and trying to figure out how to do better in the ways that I can. There's a whole process to that, of course, and it's one that requires constant learning and growth. But really, of course, these issues have been a problem for a long, long time. It doesn't seem like the early 90s were that long ago, but it's somehow been 25 years since then. And in 1991, the mysterious death of a black teenager in small-town western Michigan inflamed the same kinds of tensions that surround race today. 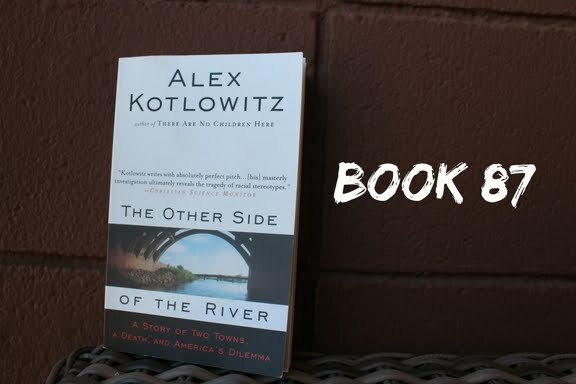 Alex Kotlowitz's The Other Side of the River examines the fallout of the drowning of 16 year-old Eric McGinnis on two towns, Saint Joseph and Benton Harbor, divided by race and class, and yes, a river. If you're the type of person who needs their mysteries to be solved, don't read this book. We never do find out how Eric ended up in the water where he perished. He could have been walking and slipped. He could have tried to swim. He could have been chased and fallen in. He could have been pushed in. Trying to figure out exactly what happened bedevils Kotlowitz, as well as Jim Reeves, the detective assigned to the case. What they do know is that Eric, from mostly black Benton Harbor, came into overwhelming white Saint Joseph one evening to go to a teen dance club. He had recently had a short flirtation/relationship with a white girl. At some point in the night, he was busted stealing cash from a car and was briefly chased down the road by the furious owner. And a few days later, his body surfaced. Kotlowitz pulls back and widens the frame to give us the context for the scene in which Eric's death occurs. He talks about the history of the two towns, how Benton Harbor was initially the big, prosperous one and Saint Joe was little more than a string of beach cottages...but, like in so many cities, white flight during the 60s drained it of capital. Despite being neighboring communities, the divides between St. Joe and Benton Harbor just got deeper and deeper as the years passed. The communities had already been roiled before Eric's death when a white police officer shot and killed a black teenager who he mistakenly believed was a dangerous suspect in a crime. So when Eric drowned and the St. Joe's police department, unused to handling potential homicides, made some tactical errors and failed to find any serious suspects, unease and suspicions between the communities flared back up. The book is interesting enough, and well-written enough, but it doesn't really go anywhere. Kotlowitz clearly wants to get his readers to think about all sides of the issue (and by that I mean there's a definite sense that he knows most readers will be white and leads them through the struggles of the local black community so they understand why a drowned teenager was viewed with such suspicion), but he doesn't have anything especially insightful to add to the conversation. It's a solid read, but ultimately doesn't resonate much. Catherine has been a great favorite of mine since I was a teenager myself, and I really think Blanchard could knock it out of the park. 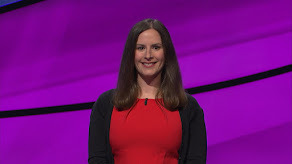 She's got the mischievous twinkle in her eye that seems perfect for the high-spirited Catherine, who amuses herself by repulsing her various suitors. Catherine's only real friend her own age, the Lady Aelis falls for Catherine's favorite uncle, George (see below), bringing out her green-eyed monster. 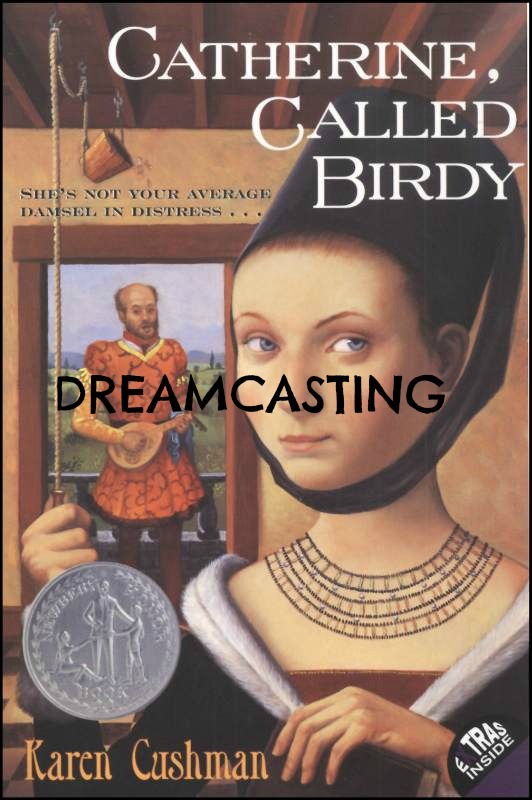 When nothing becomes of this mutual attraction because of differences in social status, Aelis ends up married to a child duke and eventually, Catherine's own brother. 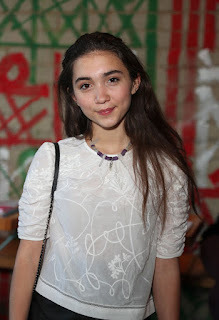 The only other thing I've seen Foy in is the Twilight series and she's lovely and charismatic onscreen and seems like she might be able to capture Aelis's sparkle. Although it wasn't uncommon to see massive age gaps between couples in the Middle Ages (see who I've cast as Catherine's own suitor below), George and Aelis are supposed to be a couple who might have married for love, so I wanted to keep the difference between them not tooooo bad. 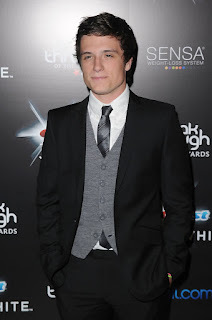 Josh Hutcherson looks young for his age and exudes kindness without the kind of scary manliness that would probably be off-putting to a teenager. 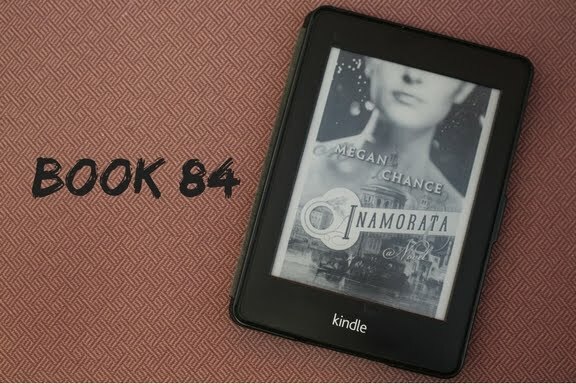 After his budding connection with Aelis is broken off, George marries Ethelfritha, a wealthy older widow who's been a bit scrambled ever since she was struck by lightening. She's comic relief, but she's also supposed to be good-hearted and someone that Catherine grows genuinely fond of. I feel like that sounds like a perfect fit for Amy Poehler's warmly offbeat comedy. Now, both you and I know that Tom Hardy is very good-looking indeed. But in full giant beard, to a teenage girl? He'd probably be horrifying. Shaggy Beard is Catherine's most persistent suitor, and I'd like to see Hardy stretch a bit into a comedic role. "Some say that we shall never know and that to the gods we are like the flies that the boys kill on a summer day, and some say, on the contrary, that the very sparrows do not lose a single feather that has not been brushed away by the finger of God." Life isn't fair. It's a lesson our parents start trying to teach us young, usually, but it takes a long time to really stick. Sometimes good things happen to bad people for no reason, and the reverse is even more infuriatingly true. Someone who could have helped cure cancer was probably shot somewhere today and there's nothing we can do about it. Why? Just because. Same reason these kind of things happen all the time. It might sound bleak, but this kind of thinking actually makes me feel better when bad things happen. It's nothing personal, it's just the way things are. 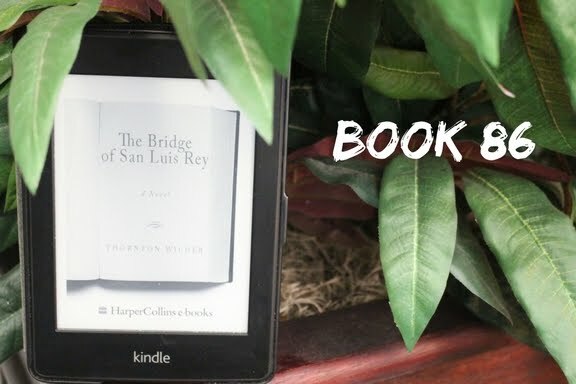 But to Brother Juniper in Thornton Wilder's The Bridge of San Luis Rey, that explanation isn't good enough. Brother Juniper is a monk, and in his eyes, people die for a reason. So when five people fall to their deaths when a Peruvian bridge collapses, he gathers their stories to try to puzzle out why. The five are are an older woman estranged from her beloved daughter, that woman's young helpmeet, a young man mourning the loss of his identical twin brother, a stage manager who made an actress famous, and the actress' son. It's a brief little novella, but it's actually more a series of interconnected short stories than anything else. There are four stories going on: the story of the fall of the bridge and its effect on the local populace, the story of the woman and her companion, the story of the twin, and the story of the manager and the actress' son. The people on the bridge, far from being sinners cast down by a vengeful deity, were for the most part flawed but fundamentally good people who had experienced sorrow but were about to make a turn into happiness. What divine justice is there in that? Even Brother Juniper can't see any. But while the mysteries of life and death may not be revealed by the story of those who perished with the bridge, what really comes through in these stories is love. The love of a parent for her child, the affection between companions, the love of siblings, romantic love, unrequited love...it actually reminds me of Love, Actually (which I know some people wish would vanish entirely from the earth, and definitely has issues, but I attach a lot of sentimental value to) in the way that it highlights the bonds between people. At the end, it's love that moves us, no matter what form that love takes. This is a small book with a big reputation, and I...didn't really get the hype? Yes, it was good and surprisingly thought-provoking considering its length, but I wouldn't have identified it as a literary classic if I didn't already know it was exactly that going in, if you know what I mean. It was definitely a quality piece of writing, but it wasn't...special. I would be willing to bet that within a year I will have forgotten that I ever read it but for the recordation of it on this here blog. But it is a classic, so it's apparently been very meaningful to some people and it's definitely an enjoyable, quick read. Tell me, blog friends...to look at the other side of the coin here, is there a novel that you think should be a classic that you can't understand why it's not? "Every time I see a dog in a movie, I think the same thing: I want that dog. I see Skip or Lucy or Shiloh and for a moment I can't even think about the movie's plot. I can only think about the dog. I want to hold it, pet it, take it for walks, and tell it what a good dog it is. I want to love it, and I want it to love me." When I joined Twitter, what feels like a million years ago, I joined for one reason: to follow Roger Ebert. I've loved movies for years, and there were no one else's reviews I enjoyed reading like Ebert's. He had a way of honing in on the essential truth about a film with understanding and eloquence. When I started reading his blog that he wrote after cancer complications took his physical voice, he brought the same style to his reflections on life. I know there's this showy public mourning that goes on when someone famous dies, but when Ebert passed, I felt a real sense of loss that I'd never be able to read something new from him again. Before he was gone, though, he wrote an autobiography: Life Itself. It was made into a documentary, which I watched but didn't think was particularly special. But I bought the book, hoping it would be better. And for me, it was. Not only was it better, it was wonderful. 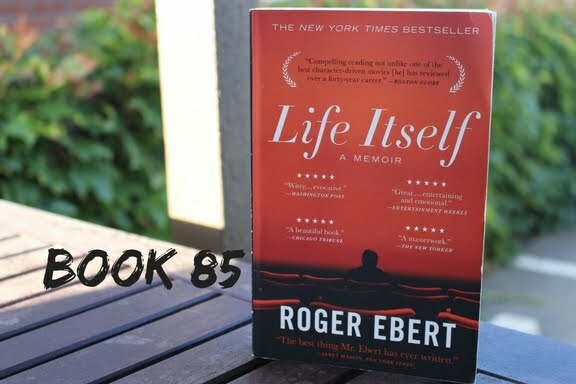 Life Itself is structured loosely chronologically, beginning with Ebert's family history and going through to when he was near the end of his life and knew it. The first few chapters, which detail how his ancestors came to the United States and his parents' upbringings as well as his own early years, are probably the weakest. While most of us are interested in these details for ourselves and sometimes our loved ones, reading about someone else's is not exactly captivating stuff. Once Ebert gets to his own life, though, the book really finds its footing and takes off. He recounts his life with insight but largely without excess sentimentality: his father's early death and his mother's alcoholism, his experiences on the college paper at the University of Illinois, his journalism career, his international travel, his own alcoholism, the joy he found with his wife Chaz, his relationship with Gene Siskel, his meetings with prominent actors and directors, and his own insistence on an aggressive course of cancer treatment that likely lost him his jaw and ability to speak. He clearly knew that this book was his last chance to put his own story out there and it's obvious that he didn't want to squander the opportunity. Given that he spent his final years in a painful and uncomfortable situation, it's remarkable how little bitterness his writing contains. Instead, he uses his last testament to to reflect on a full life, with all the moments of joy and sorrow it contained. If you're thinking about reading this book, you're probably already interested in Roger Ebert and his writing. But if you haven't, I recommend going to his blog (still online) and browsing around a little. If you like what you find and enjoy autobiography/memoir style books, this will likely be a win for you. If that's not something that intrigues you, you may appreciate the writing but find it a largely pointless exercise to read. For me, I found it moving and a likely future re-read, but I could completely understand if it's not for everyone. Tell me, blog friends...who would you like to read an autobiography of?